The Rev. Dr. Moses O. Biney is Assistant Professor of Religion and Society, and Research Director for the Center for the Study and Practice of Urban Religion (CSPUR), at New York Theological Seminary. He is a graduate of Princeton Theological Seminary where he earned both the Th. M. and the Ph. D in Social Ethics. In addition he holds an M. Phil. from the University of Ghana, a Dip. Theology, from Trinity Theological Seminary, and a Dip. Ed. and B. A. from the University of Cape Coast. 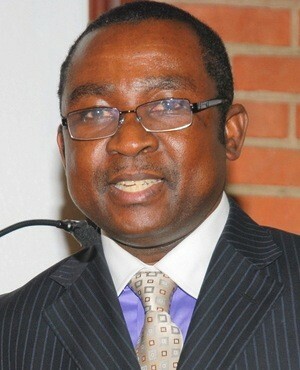 He has served as an adjunct professor at Lafayette College in Easton, Pennsylvania and the University of Ghana. Dr. Biney is an ordained Presbyterian minister and has served in various ministerial positions including, being the director of overseas mission for the Presbyterian Church of Ghana in the United States and Associate Pastor for the First Presbyterian Church Irvington NJ. Currently, he is the Interim Pastor for Bethel Presbyterian Reformed Church, Brooklyn, NY. Dr. Biney’s research and teaching interests include the religions of Africa and the African Diaspora (especially the lived religion and religious institutions of African immigrant Christians in the Diaspora), religion and transnationalism, religion and culture, Urban Ministry, and congregational studies. He is the author of From Africa to America: Religion and Adaptation among Ghanaian Immigrants in New York (New York University Press, 2011).